As web designers and web developers, there is a certain amount of terminology that we use on such a regular basis that it often doesn’t occur to us that other people that we’re working with, including our customers, might not know what some of the things we’re referring to are. We’re working on a bit of a ‘glossary of terms’ at the moment to help clarify some of words we use – this is helpful in that we can provide a copy to clients to refer to as and when they choose, but it’s also helping us to become more aware of the words and phrases that we commonly use without necessarily explaining. And hopefully this awareness is helping us to communicate better with our customers. So as we are progressing and adding more terms to our glossary, I thought it might be useful to share a few of the most commonly questioned ones. As an industry we’ve got so caught up in the importance of responsive design that sometimes when we talk to our customers we forget to explain exactly what responsive design is and why it’s so important. A website design that is responsive is called such as it will respond to the size of the screen on which it is being viewed. 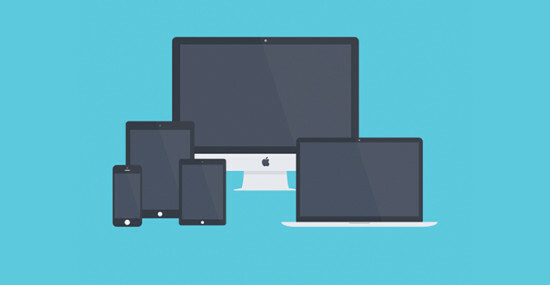 So rather than there being a ‘mobile version’ and ‘desktop version’ of your website, there is only one version, but it is designed with the various screen sizes in mind and the content of each page will move and resize to suit that size. Following on from responsive design, one aspect that is really important in the resizing of sites for smaller devices such as mobile phones is the navigation menu. As website designers, we refer a lot to the ‘hamburger icon’ – we’ve been saying this for so long that we sort of assume that everyone else knows what we’re talking about! What we’re actually referring to is the menu icon that we use to condense the navigation menu at smaller screen sizes. Why is it called a hamburger icon you ask? Well, at some point, someone decided that these three horizontal lines looked a bit like a hamburger! We’re all aware of the negative impacts of a slow website, and we often recommend the use of a content delivery network (CDN) to our customers, especially for image heavy sites such as an ecommerce site. A content delivery network is a method of duplicating website content on a series of servers based at strategic locations across the Internet. The fundamental purpose of using a content delivery network is to minimise the time it takes for web pages to load or for site users to download digital content. Content delivery networks work on the principle that the shorter the physical distance data has to travel over a network, then the fewer the number of intermediate nodes and servers there are between the data source and the end user. So by hosting your content on a series of local servers, the fewer the steps your information generally has to take on its way to the end users. And, as a result, not only are your web pages loaded more quickly but also more reliably. 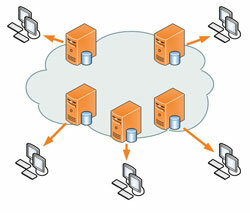 A content delivery network is also essential in ensuring continuity of service. If a neighbourhood server goes down then another will take over temporary responsibility for delivering your content, meaning that your website still remains available. But what exactly are cookies? Cookies are small text files that are placed on to a users’ computer by the website’s server. They are unique to the web browser that you are using and contain anonymous information such as unique identifiers. Only that website’s servers can retrieve the contents of that cookie. So what is the point of cookies? Cookies allow a website to store information about your preferences so that content of the website can be tailored to you.